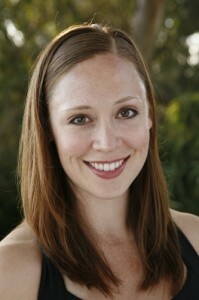 Melissa found Pilates when she was just 14 years old and studying to be a professional ballerina. Not gifted with the ideal dancer body type, Pilates gave Melissa the muscle tone and body awareness she needed to help her excel in her training and into a successful professional dance career. After performing throughout San Francisco and Chicago, Melissa returned to her hometown in California to earn her college education and become a fully certified Pilates Instructor. Soon after receiving her degree and her Pilates certification, Melissa landed a job performing and touring internationally and domestically with Parsons Dance of New York City. She recently returned to the west coast and is happy to be setting roots here in Portland. Melissa loves to share her joy of movement and wellness and is passionate about helping others become more attuned to their own strength and abilities through Pilates. Melissa graduated with High Honors from the University of California, Santa Barbara with a B.A. in Art History, and a minor in Exercise and Health Science. She has performed with the Houston Ballet, Houston Grande Opera, Smuin Ballet, Company C Ballet, State St. Ballet, Inaside Chicago Dance, Santa Barbara Dance Theatre, and Parsons Dance. Melissa holds her comprehensive Pilates Certification from Body Arts and Science International (B.A.S.I.) and is thrilled to be teaching at Springwater Pilates.